How much are sellers asking? How much did that home actually sell for? Generally, the lower your numbers are the better your chances of qualifying. However, all that really matters is that you qualify. Different lenders require different ratios, so don't give up if you get turned down. Loan denials are common and don't necessarily mean you won't be able to get a loan from another lender. The fact is that some are very picky and some have guidelines which make no sense at all. Although a pre-qualification letter is simply a lenders opinion that you have a good chance of getting approved, they are much better than nothing. As a buyer it is in your best interest to get a pre-qualification letter from any company whether you actually end up using them or not. You should never feel committed to a specific lender when asking for a pre-qualification letter. Although you may be asked for a fair amount of information during the pre-qualification process, it is usually not near as much as during the pre-approval process. Getting approved usually involves a complete credit check and verification of all your financial and employment information. Pre-approval is much better than pre-qualification. It means a lender has actually approved you for a certain loan amount based on their verification of all your information. You should do some shopping to make sure you've found the lender you will probably use before going through the complete approval process. Above all, a good Realtor should be available. They should be able to get answers for you quickly and be responsive to your needs and concerns. Time is money. Each client may have different objectives. For some, time is of the essence. Others are more concerned about price. Realtors should be experts at pricing homes and negotiating purchase prices based on the unique needs of their clients. A Realtor can help save time, money and headaches. A Realtor should work full time to help make their clients dreams come true. A Realtor's job is to provide you with as much information as possible. A Realtor should be able to provide you with all the details on the home including size, neighborhood, utilities, zoning, restrictions, etc. A Realtor should be able to recommend a good home inspection company which will provide you with valuable information on any defects in the home so that surprises will be less likely. A Realtor should also be experienced in negotiating the best price on your home based on the inspection report. Even after a buyer makes an offer, the price is most often still negotiable based on the inspection. Realtors often can give you valuable information about neighborhoods, proposed developments, and construction projects which may directly affect the value of a home. Home sales have many legal requirements associated with them that most people are not aware of. Often, laws vary not only by state and county, but by city and neighborhood. A Realtor will help ensure all legal requirements are met so that you can buy or sell your home and not have to worry as much about possible problems in the future. A Realtor should be able to recommend a title company which will insure your homes title and compensate you if there are any liens you may not know about. There are many companies and types of title insurance policies that a Realtor should be able to guide you in selecting. Often there are circumstances when increased title coverage is very advisable such as newly constructed homes or recently remodeled homes. A Realtor can explain why you may want to choose one title policy over another. A Realtor should also be able to recommend a good home inspection company to you. A home inspection can be a valuable tool both for information and negotiation. It is wise to get a home inspection to learn of potential problems. A Realtor can protect your deposit by ensuring your right to review an inspection report before making a final decision on whether to purchase the home or not. 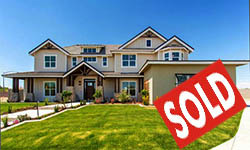 A Realtor should also be skilled at determining to what extent price may be negotiated based on the inspection report. Finally, a Realtor should be able to recommend a good home warranty company to you. Not all companies are equal. One company may offer a cheaper standard home warranty policy, but it may not cover near as much as another company's standard policy. Again, cheaper is not always better. A Realtor should know what company may offer the best value and should have experience with them. A home warranty insures many parts of your home and will replace items covered in the policy if there is a problem down the road. A Realtor should be able to help set up realistic deadlines for your purchase contract to protect your deposit while giving your offer the best chance at acceptance. Usually one of the more important deadlines is the "loan denial deadline". A Realtor should be able to guide you toward lenders which they have had good experiences with. A lender can easily make or break a deal if they don't get things done in time. Even if a lender doesn't break a deal, they can cost you hundreds if not thousands of dollars if they are not quick and accurate. When you are ready to buy, make sure you get pre-approved. Choose any lender you want. Your best option may be online or it may be a local mortgage broker or loan officer. Online lenders will usually not give you the same level of personal service and speed you will get from a local mortgage broker or loan officer. If you are hoping to get a good deal on a home in the Provo/Orem area, you will need to choose a lender that you feel will get the job done quickly. Homes priced under market will often have multiple offers. The difference between acceptance and rejection of an offer is often the perceived strength of the buyer and the deadline dates stated in the purchase contract. 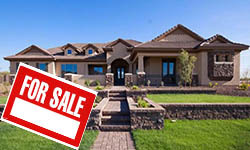 Almost all residential real estate contracts in Utah contain a list of deadlines which the buyer offers the seller. Generally, the closer those deadlines are, the stronger the offer will be. A couple of those deadlines are related to the loan. If a buyer offers shorter deadlines, it shows how confident they are of being able to close the deal. If a buyer makes an offer with shorter deadlines and is pre-approved the seller won't have to worry very much at all about the deal falling apart. Sometimes a seller will turn down a much higher offer from another bidder because their deadlines are too far out or they are not pre-approved. Don't let this happen to you. The cheapest loan is not always the best. Some mortgage brokers may charge more "points" than another, but they may be worth the extra money. An experienced mortgage broker can be extremely valuable. If you are using a broker, ask them how long they have been doing business and how many loans they have done. Try to find one that is confident they can get a deal done in under three weeks. If you make an offer on a home and put down a deposit of $1000, that money is at risk if any of the deadlines are missed. Usually the loan deadlines are the most critical. If they are missed because a lender is too slow it can be very costly to the buyer. A buyer may lose their deposit or may be asked by the seller for more money to keep the deal together. Don't let this happen to you! Paying points on your loan can be a difficult decision. The calculator and explanation in the link above make it very easy to see how long you need to own your home to make points profitable. Basically, if you will not be owning your home for long enough to recover the cost of the points, you are throwing money away. Ensure that all required paperwork is signed and initialed by the correct parties at the correct time and in the right spaces and order and that they are dated as necessary. This is extremely important. Ensure that all other legal requirements are met. Shop for a title company to handle your side of the transfer. They are not all equal. Learn what documentation the title company may require of you and make sure to provide it quickly. Familiarize yourself with the documentation the title company provides you so you can verify their information. This is also extremely important. Verify your buyer is actually able to purchase the property by learning what paperwork to request from them and then verifying it. If they are unable to perform, it is to your benefit to find out as soon as possible. Verify how much money the buyer will be putting down on the home and that the home will appraise for enough to cover what they will be financing. A standard conventional loan will only cover 80% of the value of the home. Check up on the title company to make sure there are no problems with your title. If you have a loan or multiple loans on your home, make sure to read your loan documentation or contact the lenders involved to ensure that you will be able to convey title to the buyer. Not all loans are the same. There are several types of insurance commonly purchased during the transfer of a title. Study which ones will protect you best and purchase one if you want to avoid potential problems. If you own your home outright, it will not cost you anything to sit around and wait for months for an offer. If the home you are trying to sell is financed, then every day that goes by is costing you money in interest and insurance expenses which could go into your next home. You know all the details of real estate transfers or you know someone who you trust to guide you. Real estate lawyers, certain tax and investment professionals, mortgage brokers, builders, developers, and other similar professionals may know enough to competently close a deal or they may know of someone who can guide them. These professionals will often still have a hard time finding the required amount of time to deal with a sale. Above all, pick a Realtor which will be responsive to your needs and concerns. A Realtor should be honest with their seller. By law, a Realtor has a strict fiduciary duty to a seller. You should be able to trust them implicitly to guard the confidential information you provide them. A Realtor should work for a reputable company which you have heard of. A company with greater national exposure can be important. If you feel more comfortable with them, chances are a buyer will too. Also, their advertising budget is generally much higher and their agents usually receive better training because the company has a reputation to protect. Some smaller companies offer little or no training to agents which may not be much better equipped to sell real estate than you! A Realtor should not keep a client waiting any longer than absolutely necessary. If you cannot reach your Realtor immediately, you should receive a call back as soon as he/she is off the phone, out of a meeting or back in range of their cellular network. A Realtor should be an expert at listening to your desires. You should be informed on the market and other conditions which may affect the sale of your home. A Realtor should be able to price your home and provide you details on how they arrived at that price. Those details should consist of market data and the unique features of your home. If you have upgrades, they should be taken into account. Of course, the decision to list above or below the price suggested by a Realtor always lies with the seller. A Realtor should be able to explain the consequences of listing high or low. A Realtor should be able to provide you with different marketing strategies and should be able to explain the pro's and con's of each. A Realtor should be familiar with contracts and know how to recognize and protect against different negotiation techniques which might be used by buyers to the disadvantage of their seller. A Realtor should provide their client with all pertinent information as soon as possible. A Realtor should be empathetic to your situation. Often selling a home is a stressful time even at its best. Details should be explained in a way you can easily understand and puts your mind at ease. A Realtor should be polite, but firm. There are a lot of nice people, but not all nice people are good negotiators which will get you top dollar for your home. A Realtor should be solvent, confident and patient. A desperate person usually has their immediate needs above yours. There are many signs of desperation, but a dead giveaway is a high pressure sales pitch and a lot of fast talking. Realtors should be more educator than salesman and you should always feel educated, not pressured after a meeting with a Realtor. Remember, you are the boss. A Realtor should embrace technology and should be a master of marketing. Your home should have all the exposure necessary to sell it as quickly as possible. Some properties will require different marketing than others. Finally, a Realtor should feel like a friend. You should feel comfortable calling them and they should know you by your first name. A Realtor can guide you through negotiation, but it is up to you to decide how much you are willing to give. If there are multiple offers, a Realtor can help you determine which one is the best. Sometimes the highest offer is not the best. There are many factors which affect the relative strength of an offer. A Realtor should be able to recommend a good title company, but the decision is yours. Try to find a reputable title company that will be responsive to your needs and will be able to close at a time that is good for you. A Realtor can help you purchase your next home and should offer a discount for the repeat business. Try to find a Realtor that will be willing to help you move. If you are not moving locally, your Realtor should be able to refer you to someone out of state who will be familiar with your needs and can start helping you right away. A real estate company with national connections can help a lot.